struck me most was the different outlook on recruitment that Marc and his team have. 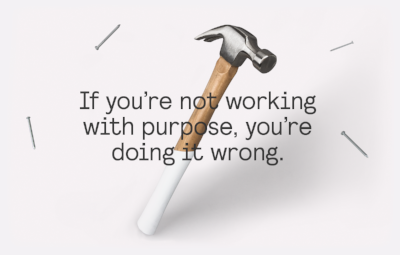 You see Purpose Driven Recruiting is based on the premise of having a totally different mindset when it comes to your candidates and clients - which then has a knock-on effect on everything you do as a recruiter. 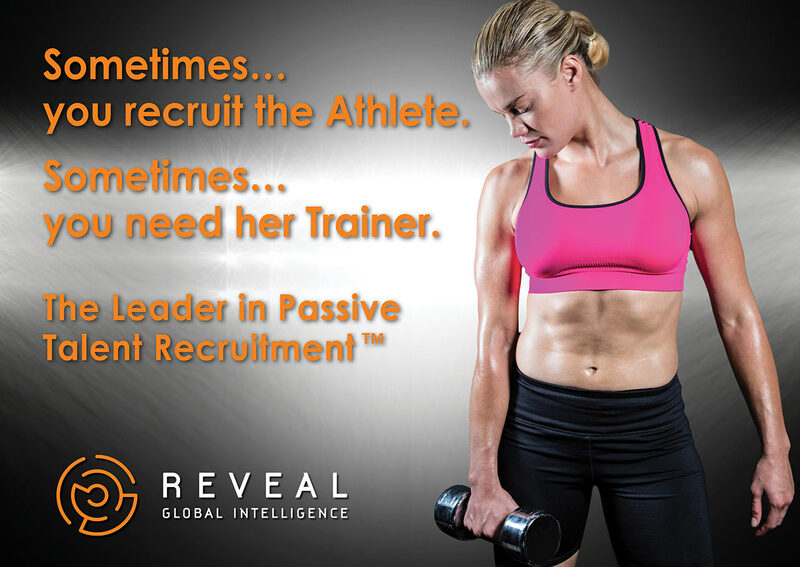 In this post, my goal is to share insights about what Purpose Driven Recruiting involves - and to help recruiters and their clients understand the impact this has on the ultimate goal of recruiting great staff. My thanks to Marc Hutto both for taking the time to share these insights with me - and for publishing this post to help others in the industry learn what may be considered best practice. Much of the recruitment industry is driven by short-term considerations. What placement fees have been generated this month? What commissions do I stand to earn as a consultant? Is this candidate someone I can immediately place into a new position? What activities can I undertake today that will materially impact this month’s or this quarter’s results? The trouble with this approach is that it leaves candidates cold - and undermines the very foundations that good recruitment should be built upon: relationships. Working for a placement fee fundamentally compromises the impartiality of a recruiter. How can you act in the best interests of your candidates if certain courses of action will generate a placement fee for you and others will not? Marc stresses that a fundamental tenet of Purpose Driven Recruiting is a refusal to approach the craft of recruiting as most of the industry has been trained to do - and in part that means foregoing placement fees and seeking other ways of being remunerated. A recruiter who has bought into the mentality of Purpose Driven Recruiting will want to gain a deeper understanding of their market and derive deeper fulfilment from helping people in their chosen career field. When asked “why do you do this work?” the answer that comes back should be all about making a more meaningful connection between the candidate and the opportunity. Someone passionate about Purpose Driven Recruiting will be part counselor, part engineer, part white-lab coat professional. They’ll have the skills to do the job - but more importantly, their heart will be in the right place. If you think about the typical recruitment training in our industry, recruiters will be trained to “pitch a job” and talk about “the outstanding opportunity” they have for the candidate. There are at least two major flaws with this approach. Firstly, “pitching” a job invites a mentality that can easily become too salesy and self-serving. Secondly, stating that any opportunity is “outstanding” is highly presumptuous until you’ve taken the time to get to know a candidate and their priorities. One interesting suggestion Marc makes is for recruiters to devote a significant portion of their free time to studying and then delivering career coaching to friends, family, and ultimately total strangers who come into your life. Help them to connect with what is truly important to them. Take the time to understand what professional circumstances make them happy, productive, engaged, prosperous and balanced? What change in circumstances would offer them fulfilling professional and personal growth? If you can help someone to uncover that about themselves, then you are ready to practice Purpose Driven Recruiting. You are also ready to overcome the biggest barrier to recruiting effectiveness - having trust-based and meaningful conversations with candidates about their goals and aspirations. It would take an entire in-depth article to do justice to describing these Career Drivers in full. For those interested in having a better understanding of each of these, you can download Marc’s Career Drivers here. But for our purposes, suffice it to say that a recruiter embracing Purpose Driven Recruiting will make it their business to help a candidate reach an objective conclusion about what will bring them future professional career satisfaction - and which opportunities are most likely to hit the mark in terms of achieving these desired outcomes. Of course, knowing and understanding this whole methodology is one thing. Introducing it to candidates and earning their wholehearted trust is quite another matter. Furthermore, this is made particularly difficult if your own motivations are tainted by commissions - or indeed simply perceived to be tainted by commissions. a. Name it. Tell the candidate that you practice what is called Purpose-Driven Recruiting. Explain that this is all about focusing. Firstly, focusing on what is important to that individual. Then, having understood that, determining if (or how) their Career Drivers align to the opportunity. b. Explain the rationale for your call. When contacting passive candidates, 98% of them say, “Oh, but I’m not looking for a new job right now.” Your response should explain that that’s exactly as you expected and that you believe that having a call is NOT appropriate if they have just joined their company or they are planning to retire within a year or two. Assuming that’s not the case, further share with them that you want to understand the circumstances under which they might make a change as that will allow you to be more valuable to them in the future. d. Confirm it in Writing. Finally, summarize your call with the passive candidate and recap their Career Drivers and the agreement you just reached with them about next steps. Touch on any other agreements such as dates/times they are available to speak to the next person in the process. You will now have opened the door to talking with them about an opportunity that they might otherwise have been resistant to - and have done so in a way that they have sold themselves on this being a conversation worth having. The elephant in the room here is of course that Purpose Driven Recruiting sounds like it must take a lot of time. By seeking to talk to everyone who looks like a great candidate for a role, you’d think you would inevitably invest more hours than if your efforts were confined only to those who’d ordinarily be open to a conversation. But what I found particularly fascinating from talking with Marc is that this isn't necessarily the case. Having fewer, higher-quality conversations focused on what is important to candidates can actually result in less time being invested in a hire overall. By anchoring conversation around the exploration of Career Drivers, candidates find the Recruiter's approach refreshing - and they understand how and why they need to think carefully about the opportunity as opposed to the standard “no” that they would typically give to recruiters. So, if done well, Purpose Driven Recruiting can increase the probability of a successful hire AND reduce the time needed to make that hire. Sounds like a winning combination - but how many recruiters will take the plunge and give this a try? 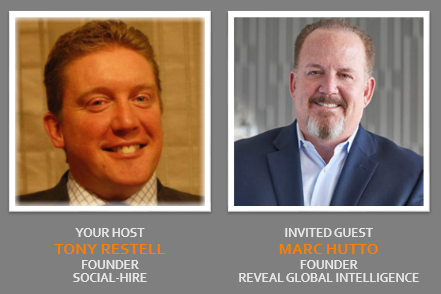 Tony Restell (@tonyrestell) is the Founder of Social-Hire.com and works with recruiters and recruitment businesses needing outside help in growing their social media presence. He’s a published author and a Cambridge graduate.